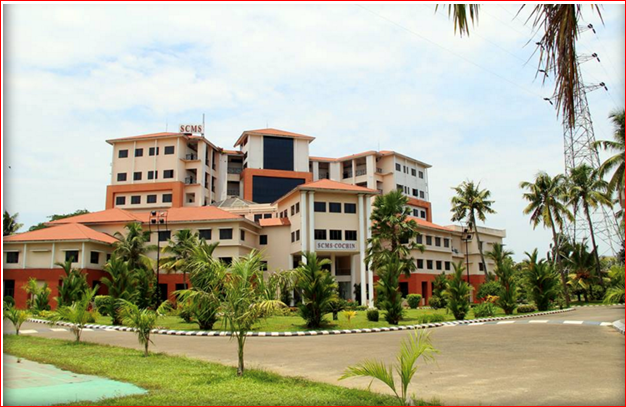 SCMS Cochin School of Business is to hold its 23rd Annual Convocation on 27 April, 2016 at its Cochin campus. For the first time, both PGDM and Executive PGDM batches will have a common convocation ceremony. The Chief Guests for the Convocation will be Mr. P.H.Kurian, IAS, Principal Secretary (Industries and IT), Govt. of Kerala andMr. Dinesh P.Thampi, Vice President and Delivery Centre Head, TCS. The ceremony will begin at 10AM sharp with the arrival of the students from both the batches. The procession will begin at 11AM with students proceeding from the ceremony hangers to the Seminar Hall. During the course of the event, awards for Best student (Academics-Gold Medal), – Best Outgoing Student (Overall Performance), Certificates of Merit for the toppers and Certificates for toppers of Executive PGDM will be given out apart from the diplomas to the students. Commenting on the ceremony, Dr. Filomina George – Director PGDM said “We are confident that we have yet again delivered against our commitment of preparing our students to take up the emerging challenges and groom them towards excellence as they pass through the portals of this institution”. The Institute looks forward to welcoming the near and dear ones of its graduating class as these graduates prepare for the next stage of their lives and wishes them the best of good fortune. SCMS blossomed out of the educational vision of Prathap Foundation for Education and Training in 1976. Established by its visionary chairman Dr. GPC Nayar, SCMS offers a 2 year full time PGDM, Executive PGDM and 3 years part time PGDM course. Over the years SCMS group has established a network of institutions providing quality education in diverse disciplines like management, engineering, information technology, mass communication, bio technology, architecture, polytechnics and finishing school.